Beta-glucan is a fiber-type complex sugar (polysaccharide) derived from the cell wall of baker’s yeast, oat and barley fiber, and many medicinal mushrooms, such as maitake. The two primary uses of beta-glucan are to enhance the immune system and to lower blood cholesterol levels. Numerous experimental studies in test tubes and animals have shown beta-glucan to activate white blood cells. These cells provide one of the immune system’s first lines of defense against foreign invaders. Beta-glucan is the key factor for the cholesterol-lowering effect of oat bran. As with other soluble-fiber components, the binding of cholesterol (and bile acids) by beta-glucan and the resulting elimination of these molecules in the feces is very helpful for reducing blood cholesterol. Results from a number of double-blind trials with either oat- or yeast-derived beta-glucan indicate typical reductions, after at least four weeks of use, of approximately 10% for total cholesterol and 8% for LDL ("bad") cholesterol, with elevations in HDL ("good") cholesterol ranging from zero to 16%. Like other sources of soluble fiber, beta-glucan is, according to preliminary studies, helpful in reducing the elevation in blood sugar levels that typically follow a meal. Beta-glucan produces this effect by delaying gastric emptying so that dietary sugar is absorbed more gradually, as well as by possibly increasing the tissue sensitivity to insulin. These effects suggest possible benefit in blood sugar control in people with diabetes. 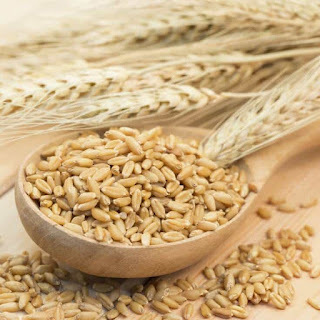 Beta-glucan is found in the cell walls of many yeast and cereal fibers, such as oats, wheat, and barley. As a dietary supplement, beta-glucan is available in liquid form as well as in capsules and tablets.